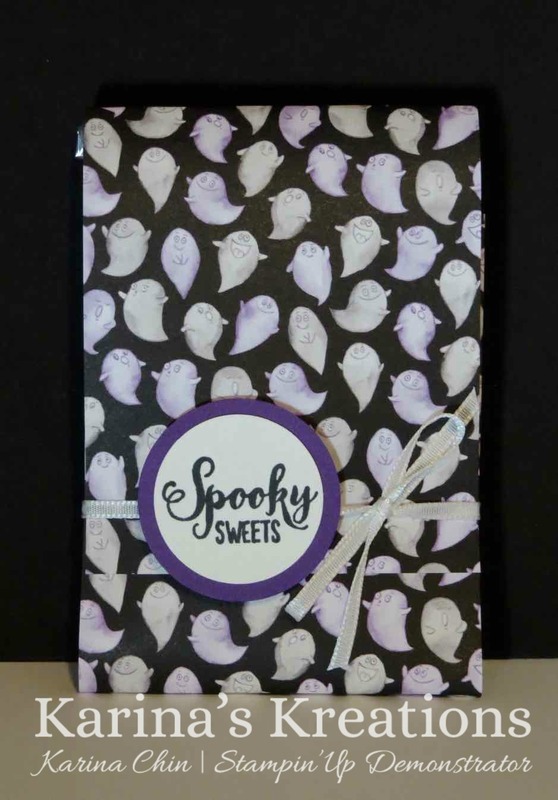 Karina's Kreations: Spooky Sweets Treats! Yes, I am sharing a Halloween treat holder today. Although, as I look out my window, I feel like it should be a Christmas treat holder. There is snow on on the ground. Yikes!!! This is an easy treat holder design that can be used for many projects. Take a piece of 3" x 12" Designer Series Paper. I am using Toil and Trouble Design Paper. 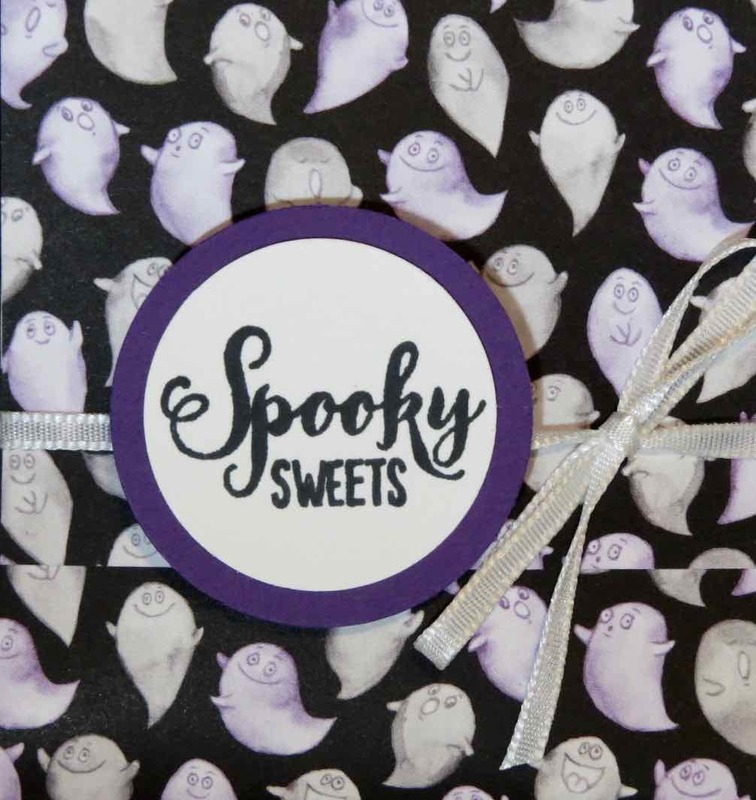 Place your treats in a 3" x 6" gusseted treat bag. Fold to be 4-1/2" long. Attach to the inside of the designer paper with snail adhesive. Fold your designer paper and secure with Ribbon. I stamped a cute little tag using the Spooky Treats stamp set, 1-1/4" circle and 1-1/2" circle punches. To order your supplies to make this cute project, please click on a picture below.